Britain’s Barmiest Brexiter Comes to Colchester. David Icke, arguably the world’s best-known conspiracy theorist, has come out in favour of leaving the European Union, labelling the bloc a “dictatorship”. In series of tweets and posts on his website, the broadcaster hit out at the “dark suits running your life” and that real reform is “completely absent” in David Cameron’s deal. 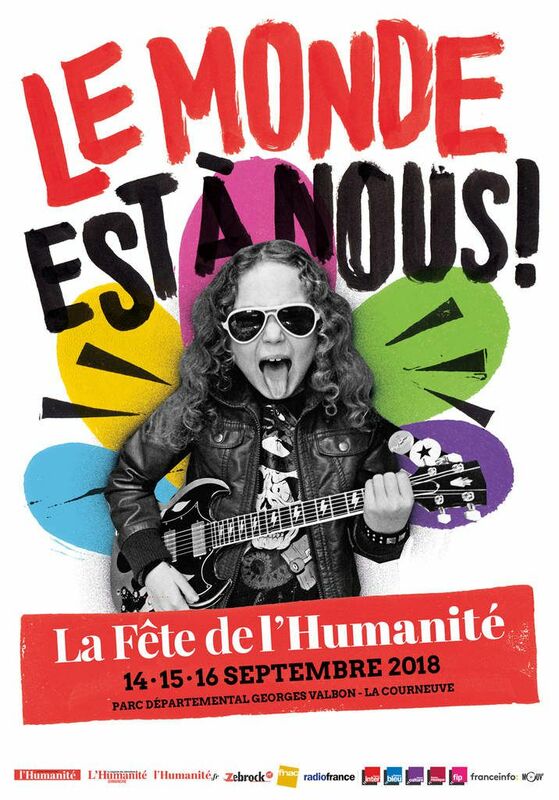 Tickets for the Colchester feast for mind and spirit cost £30.00…..
Jean-Luc Mélenchon and Friends, accused of ‘anti immigrant’ rhetoric will not go to the Fête de l’Huma. 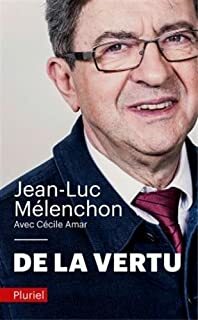 Mélenchon: Virtue Lies in Not Talking to Left Critics. “Ian Brossat nous insulte” : les Insoumis snobent la Fête de l’Huma.” Exasperated by the criticism of the Communist Party against Mélenchon’s speech on immigration, La France insoumise will not send a delegation to the Courneuve where the PCF holds the Fête de l’Huma this weekend, the biggest popular annual event on the French left wrote Remy Dodet in l’Obs yesterday. The cause? The fall out from Sahra Wagenknecht’s anti-immigration law and order Aufstehen continues to hit the European left as the leader of the French Communists’ (PCF) European List, Ian Brossat, accused the ‘left populist’ party of indulging in anti-immigrant rhetoric. Some flavour of the rancour involved can be seen from this petulant tweet by Adrien Quatennens‏ apparently a LFI MP. The Tweet attempts to rebut criticism of LFI slip towards a hard line position on immigration controls by attacking the PCF’s Brossat for referring to his family history,f aced with Nazism. Apart from rounding on Brossat’s vulgar “insults” the thin-skinned LFI deputy fears, he alleges “incidents”, if they turned up in front of a left audience wider than their own movement. 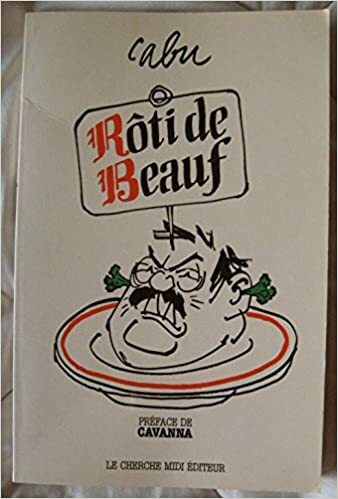 Ian Brossat: “An anti-migrant left does not exist, it’s like a vegetarian lion. In France, Jean-Luc Mélenchon has changed his line on immigration since the last presidential election. The leader of the LFI proposes on the one hand “to assume the duty of humanity” towards the refugees and on the other hand to “fight against the causes of migrations”. Brossat had the outrecuidance to object not only to Wagenkecht’s line but to this mealy-mouthed apology for pandering to racism! Today Libération claims that LFI was simply looking for an excuse not to turn up at an event which they do not run, and where they may bump into people on the left they do not agree with, including those with do not admire Jean-Luc Mélenchon! 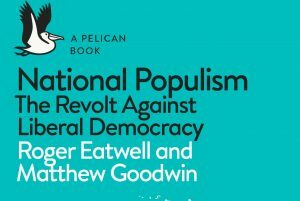 Unsaid – so far – in this row is the belief by more than a few on the French left that LFI is indeed moving in the same direction as Auftsehen’s founders, with its claims to moblise “popular sovereignty against the markets” serving as a cover for much more overtly nationalist politics. Her controversial article needs to be read in full to judge, but there is little doubt that the present dispute adds fuel to the fire. Sir Michael Caine is a Bleeding Tax Dodging Brexiteering Ponce. Those who follow films will know about this, a coming Live event which will be in cinemas across the country in a weeks. British film icon Michael Caine narrates and stars in ‘My Generation’, the vivid and inspiring story of his per-sonal journey through 1960s London. Based on personal accounts and stunning archive footage this fea-ture-length documentary film sees Caine travel back in time to talk to The Beatles, Twiggy, David Bailey, Mary Quant, The Rolling Stones, David Hockney and other star names. Wally of the Week – Sir Michael Caine. Sir Michael Caine, CBE is a man who flip-flops like no other and whose political views are best described as “chaotic”. Though a man known for fleeing Britain for America to avoid high taxes in the 1970s and a man named as an investor in a tax avoidance scheme named Liberty in 2014, the pro-Brexit actor has this week called himself a “socialist” and went as far to say: “I wouldn’t live in a country that didn’t pay income tax”. “I’m a socialist, basically. I want as much money as possible for poor people, to help whoever’s in trouble. I wouldn’t live in a country that didn’t pay income tax”. “What you have to do is keep emotion out of it. You can’t say: ‘We hate these rich people, we’re going to tax them to smithereens’. You’ve got to have them stay in your country and pay the tax”. “In order to do something good, I don’t just do work which is no good. I don’t do commercials’. In 2013, he was paid a six-figure sum to film a commercial for Sky television. How conveniently the man forgets. This is his latest gobshite. Sara Khan, Islamism, and her Critics. Is there a problem with violent racist Islamism in Britain? The Independent wrote last October. More than 400 British Isis jihadis have already returned to UK, report warns. Thousands of Isis fighters have already returned to their home countries amid confusion over the number of foreign jihadis remaining in the dwindling caliphate, a new report has found. But there are fears many have “disappeared” from the view of security services, who will not publicly confirm how many returnees have been jailed or are being tracked. These people fought for a group that has engaged in ethnic and religious cleansing and genocide. How can the support which led to their participation be tackled? There are many reservations about the Government’s Prevent strategy, beginning with the fact that is initiated by the government, and extending to an appeal to “British values”. Sara Khan wins over many by this saying this instead, (Mirror). Sara Khan’s appointment as the UK’s counter-extremism chief is symbolic of how the problem of radicalisation is ultimately addressed by the state. Professor Tahir Abbas Visiting senior fellow at the department of government, London School of Economics. ..government rhetoric focuses on ideology, regressive interpretations of Islam, anti-integration sentiment, resistance politics, anger and disaffection towards failed Western foreign policy and lumps them all together as elements of a problem that has a singular solution. The solution is to modify and moderate Islam. This is the heart of the problem for the last decade and a half. Everything else that is important in understanding, breaking down and helping to eliminate issues of radicalisation points to a multivariate set of factors that are important in understanding the processes and the mechanisms through which radicalisation can be eliminated. The research suggests strongly that radicalisation on the basis of religion is a later-stage process, whereas it is the sociological, political and cultural pressures that act as the initial push factors in relation to radicalisation. Human rights and anti-extremism campaigner Sara Khan has come under renewed attack for accepting the Lead role in the government’s new Commission for Countering Extremism. Before this she has been condemned for accepting Home Office funding for her Inspire project and for being willing to work with Prevent. Much of this criticism comes from Islamists and their apologists like the SWP. Some of it comes from left wingers genuinely concerned about Khan’s willingness to work with the government. Bizarrely, one of the most outspoken critics of Khan’s appointment is former Tory Party Chair, Lady Wasi! New counter-extremism tsar Sara Khan faces calls to quit BBC. MEND (Muslim Engagement and Development) is another prominent critic of Sara Khan. This organisation issued a speech about Holocaust Day (Wednesday). Is this really work that we should explicitly describe as ‘controversial’? Anyone interested in the future of British society should support the general thrust of what Khan has tried to do. That doesn’t mean there shouldn’t be reasonable analysis and criticism of her work. But if such a thing exists it has been drowned out today amid a hurricane of apologism. Advocacy groups such as 5PillarsUK, the Muslim Council of Britain and the Muslim Public Affairs Committee have berated Khan. Politicians such as Sayeeda Warsi, Naz Shah and Diane Abbott have cravenly jumped on the bandwagon. Harun Khan, secretary general of the Muslim Council of Britain, said: “The fight against terrorism requires equal partnership between all parties, including Muslim communities. “This appointment risks sending a clear and alarming message that the government has no intention of doing so. We and the British Muslim women who participate in the online forum we founded – the Muslim Women’s Collective – are keen to ensure that the commission and the government engage with diverse voices in the spirit of partnership. With the increase in Islamophobia that has occurred (particularly the attacks on visibly Muslim women) our concern is that the commission will neglect this idea, and cast an unjustifiably wide net in terms of who it considers religious extremists, in a manner that risks being counterproductive. That amongst the extremists we are talking about there are those that have committed war crimes on a scale that can only be compared to those that took place during the Second World War escapes these critics. It is recommended that these people read what Sara Khan has actually written. This is how we can reclaim the British Muslim identity from extremists. Independent April 2017. The rise and appeal of global terror groups are acutely felt here; approximately 1,000 people have travelled to Syria and Iraq, many seeking to join violent jihadist groups. Between 1998 and 2015 there have been 269 convictions for Islamist-related offences. Intolerance and extremism has erupted in violence as we saw last year with the brutal killing of Ahmadiyyah Muslim Asad Shah by Tanveer Ahmed. And Muhammad Syeedy, a 21-year-old Isis supporter from Rochdale, murdered 71-year-old imam Jalal Uddin. These facts depressingly represent the tip of the iceberg. Online, the spread of Islamist beliefs is unprecedented. There are 54,000 searches each month in the UK alone for extremist material. Teenagers and children as young as 10 have been declaring their support for Isis. In some cases the authorities have had to deal with parents who have been found guilty of radicalising their own children. The challenge of Islamist extremism is anything but insignificant, and the damage done is immeasurable. Yet despite this clear threat, public debate about Islamist extremism has become toxic and polarised. Entrenched black and white parochial positions, a common feature of our divided post-EU referendum society, predictably emerge. On the one hand there are those who try to imply that all Muslims are de facto Islamists. Others go into denial mode, play down this reality and erroneously criticise those who dare raise the existence of Islamist extremism as “Islamophobia”. 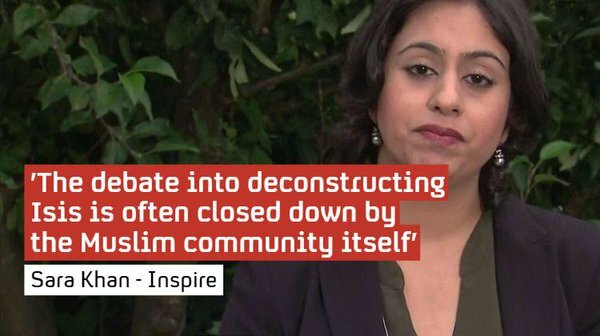 Part of the reason for this is because both sides are guilty of homogenising British Muslims; terms like the “Muslim community” are woefully unhelpful, outdated and do a great disservice to the highly diverse and complex picture that exists among Britain’s three million Muslims. There quite simply is no single community. Yet when language is so important, this term is repeatedly used by politicians, the media and sometimes by Muslims themselves. These entrenched positions cloud our inability to recognise the reality about British Muslims. We fail to recognise the emerging positive trend: how young Muslims are excelling and contributing in many fields, whether in the arts, music, politics, fashion, the arts and drama. They serve in the Armed Forces and the police, work in the NHS and, much to the displeasure of Islamists, are patriotic, rejecting wholesale the idea of an Islamic caliphate. But there also exists a negative trend among some British Muslims, albeit smaller yet highly significant. When third generation British Muslims inspired by Islamist belief want to join Isis or seek to carry out attacks in London because of their hatred for Britain, hard questions about identity, integration and belonging need to be asked. Muslims must define what British Islam stands for: an ethical and moral religious framework which advocates for human rights and equality while weeding out hate, violence and discrimination. Likewise, confronting the wider obstacles facing Muslims in our country – socioeconomic and political issues, as well as widespread anti-Muslim discrimination – is vital. It’s important to remember that no one, apart from extremists, benefits from the presence of Islamist extremism in Britain. We can be critical of the Prevent Strategy, we can be hostile to the government’s foreign policy, but as a person Sara Khan comes across as a serious individual deeply committed to human rights who deserves attention and engagement not the kind of denunciation she now faces. See also: Congratulations to Sara Khan Sarah AB. Against Madrid’s Repression, Against Middle-Class Catalan Breakaway State. 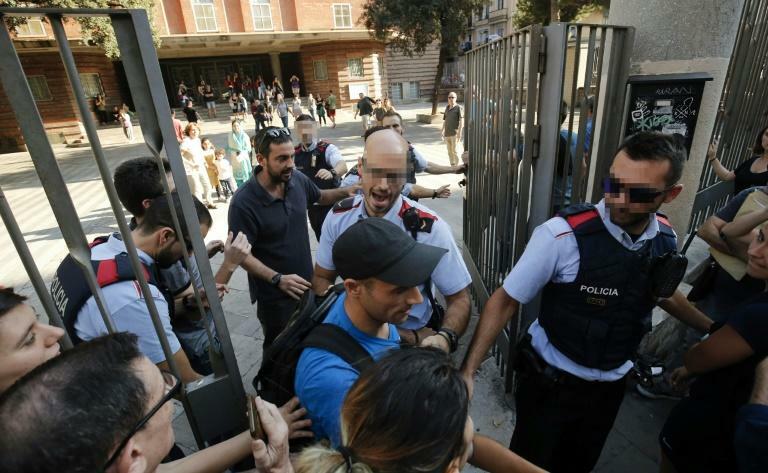 Catalan Independence Supporters to Oversee Polling Booths in Break-away Election. 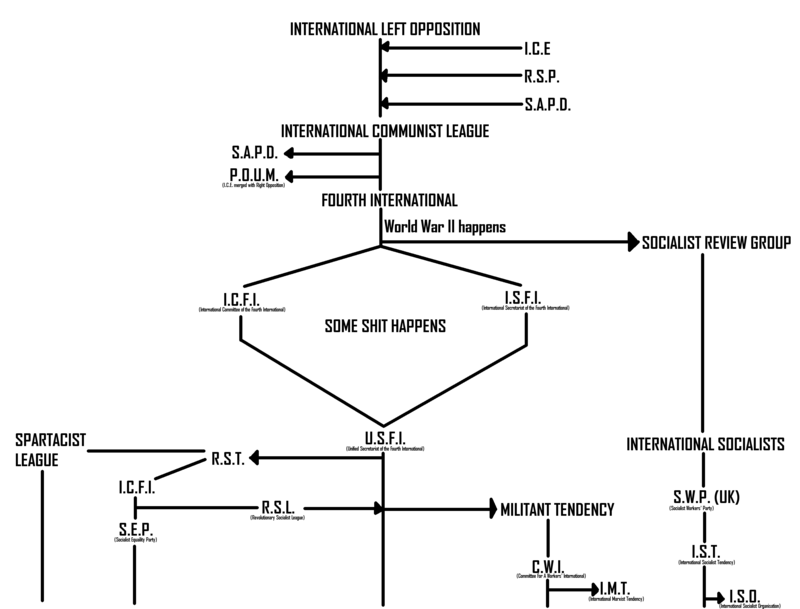 We would add that it is astonishing that anybody who claims to be socialist or left, in the case of the Catalan ERC Republican Left of Catalonia (Esquerra Republicana de Catalunya, ERC; IPA: and the smaller pro-nationalist ‘radical’ left outside, can justify an alliance of the Catalan nationalist left with a corruption riddled (and much larger) pro-business party, the Partit Demòcrata Europeu Català, PDeCAT), also known as the Catalan Democratic Party (Catalan: Partit Demòcrata Català). It was founded in Barcelona on 10 July 2016, as the successor to the now-defunct Democratic Convergence of Catalonia. Why the name change from its former incarnation, the Convergència Democràtica de Catalunya ? There is one family name that sums the reasons up, Jordi Pujol, a byword for sleaze and insider backhander, something that marks out modern Catalan nationalism.